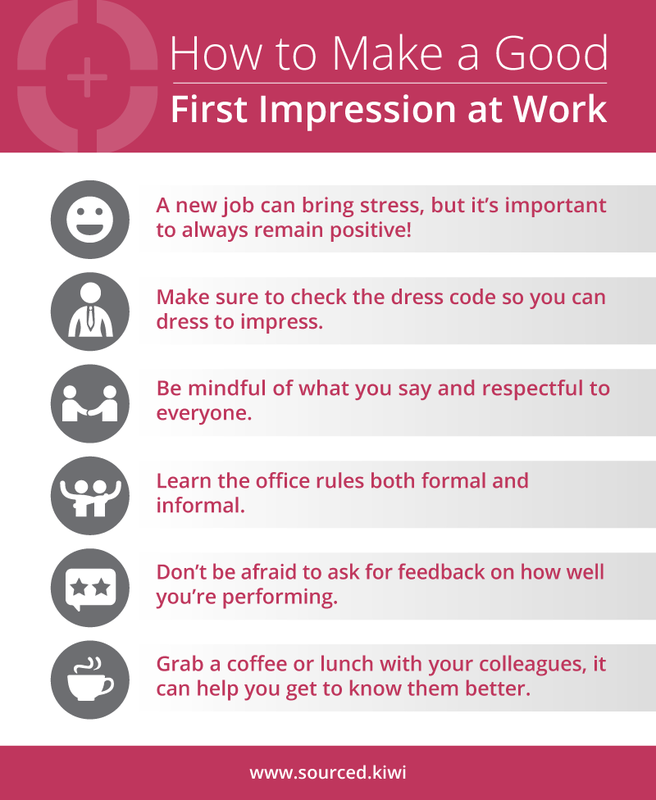 Although starting a new role can be exciting, it’s important not to get caught up in the moment and forget to make a solid first impression with your new colleagues, Manager and employer. The way you’re dressed, how you speak, and your overall attitude can have a big impact on how others perceive you. Presenting yourself in a positive light from day one can set you up for a successful career start. 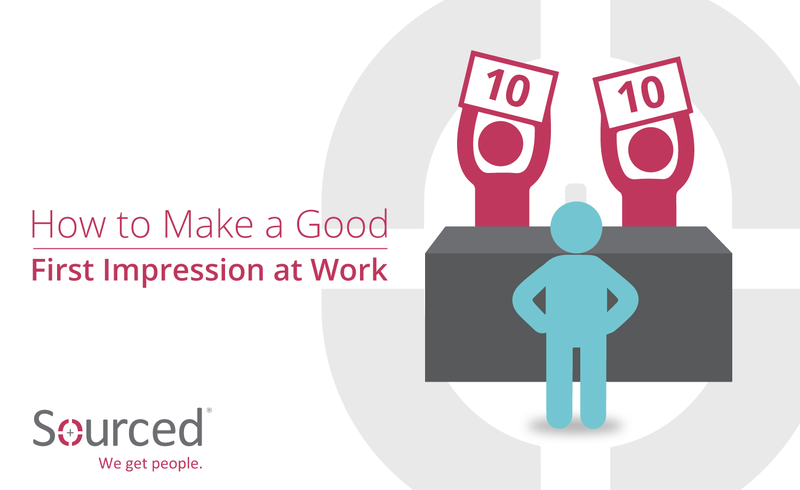 Follow our top tips and discover how you can make a positive first impression at work. With a new role, there will be new challenges, responsibilities, and tasks. Although learning new systems, processes and skills combined with meeting new people might bring stress, showing that you can keep a positive attitude is a great sign. Remaining positive demonstrates that you can handle pressure in a professional and upbeat manner. Remember your strengths and focus on what you hope to gain from the overall experience. A great way to set yourself up for success is to understand what your Manager wants from you. To do this, try to find out what is important to your Manager, and familiarise yourself with the company’s overall mission, goals, and objectives. What are your Manager and colleagues trying to achieve and what direction are they heading in? Knowing more about the company, colleagues, and your Manager’s strategy can put your role in context and help you see how you’ll fit in, and what value you can add to the role. To know more about what your company does and who they are before you start, it’s good to do some research ahead of time. If you’re active on social media and LinkedIn, you can easily check out the company’s presence on those channels, as well as looking at their website to find out more about their background and activities. Are they a leading voice in your industry? 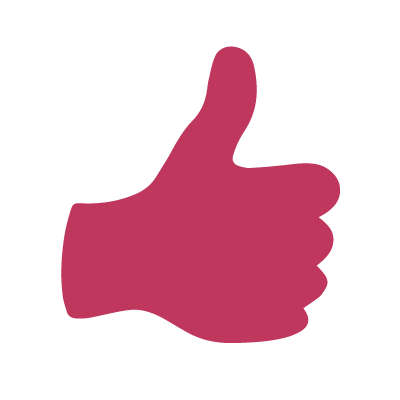 Do current and former employees give positive testimonials? There may even be positive news coverage on your company for getting involved with charitable causes or doing other work in the community. If the company’s values and mission are important to you, and if they are in sync with your own values as well, then try to find out about these in advance. Whilst starting a new job may not necessarily require a wardrobe overhaul, it’s a good idea to double check the dress code of your new employer. Think back to the interview; how was everyone dressed? Was everyone wearing formal attire or ‘smart causal’ clothing? If you’re struggling to find this out, check with your Manager or Recruiter who can help ensure you don’t over or underdress on your first day. 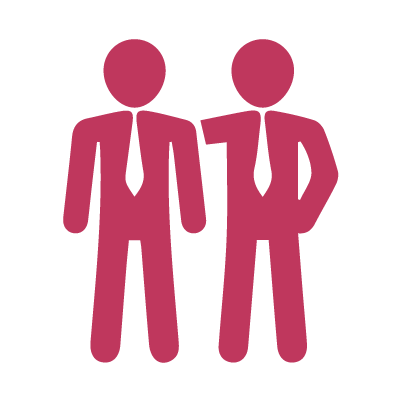 Ego and personality clashes are two of the primary reasons for workplace conflict, hence why getting off on the wrong foot with a colleague is best avoided. Instead, try to be mindful of what you say to everyone because you might offend someone without realising it. To avoid this scenario, steer clear of office gossip or controversial topics. Overall, what you say (and what you keep to yourself!) is part of the good first impression that you’re trying to make, so be sure to be considerate and respectful to everyone. Familiarising yourself with the company culture can help you adapt to the formal and informal office rules. Begin by learning how others behave in the office, such as each employee’s day-to-day routine, and what the environment is like. Observe what software, equipment, and programs are regularly used. For example, does the workplace provide devices such as laptops and tablets? Perhaps the office is quiet and reserved, or louder and upbeat. Look at how people communicate with each other, and what procedures are followed. As the new employee, it’s essential that you learn and adapt to the new company culture as best as you can. Over your first few weeks in the role you’ll be taking in a lot of information, but keep in mind that you aren’t expected to remember everything in one go. Your colleagues and Manager are there to help you succeed, so they’ll be happy to answer any questions you might have. After three months at your new company, it’s a great idea to ask your Manager for a performance review. Then you can discuss your accomplishments and challenges, as well as a plan for how you can improve and further develop. When you meet new people, it can often be daunting trying to remember everyone’s names. Reading your team’s bios on the company website in advance will help you to get a general idea of who each person is and what they do. Either way, learn each person’s role in your team and get to know them. Something as simple as grabbing a coffee with your team on your lunch break can make you feel more comfortable and familiar with each person. 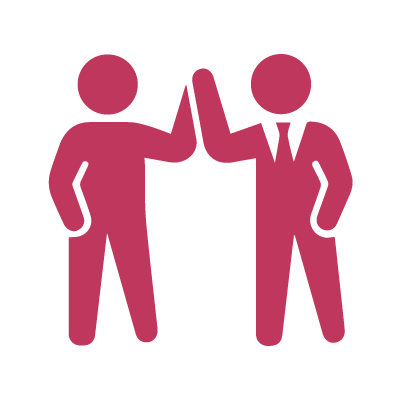 Having positive interactions with your team is bound to be noticed by your employer as well. 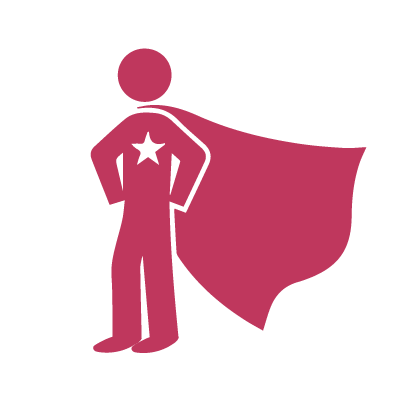 Before you begin a new role it’s good practice to reflect on how others may perceive you from the way you speak, dress and approach other people. With any new role, remember to be yourself. People will respect you if you’re honest, transparent, and present your likeable personality upfront. If you need any more advice on how to leave a good first impression or have any questions, feel free to get in touch with our expert Recruiters at Sourced.